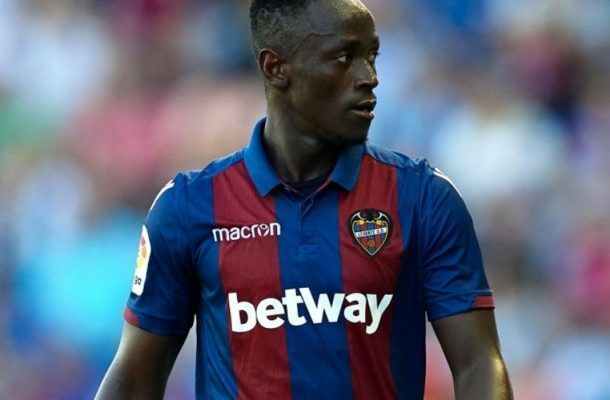 Spanish side UD Levante are set to profit massively from the sale of Ghanaian international Emmanuel Boateng to Chinese Super League side Dalian Yifan. The Frogs are reportedly negotiating with the Asian side for a fee in a region of 12 million euros which will be the second highest transfer in Levante’s history following Jefferson Lerma’s €30m move to Bournemouth this summer. The 22-year-old was signed for €2.5M from Portuguese outfit Moireirense in the summer of 2017. Boateng has struggled for form this season, netting just once in 16 La Liga appearances.